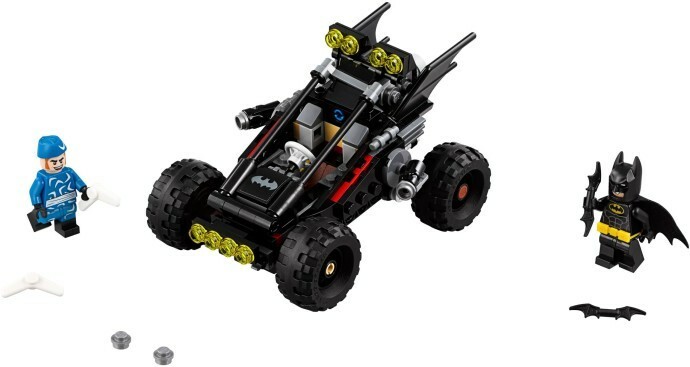 Glide over bumps in the Gotham City streets and face off against Captain Boomerang™ with THE LEGO® BATMAN MOVIE: The Bat-Dune Buggy set. 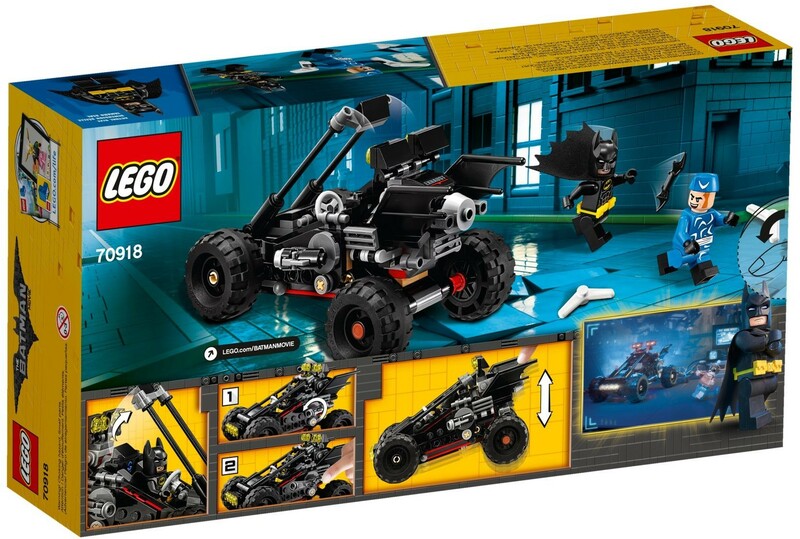 This cool buggy features a minifigure cockpit with an opening cage for Batman™, rear-wheel suspension and 2 stud shooters. 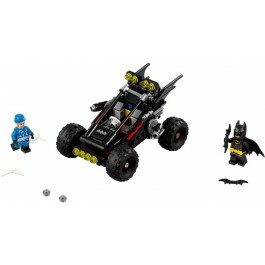 This LEGO Batman toy includes 2 minifigures, each equipped with Batarangs and boomerangs to boost the role-play battle fun. 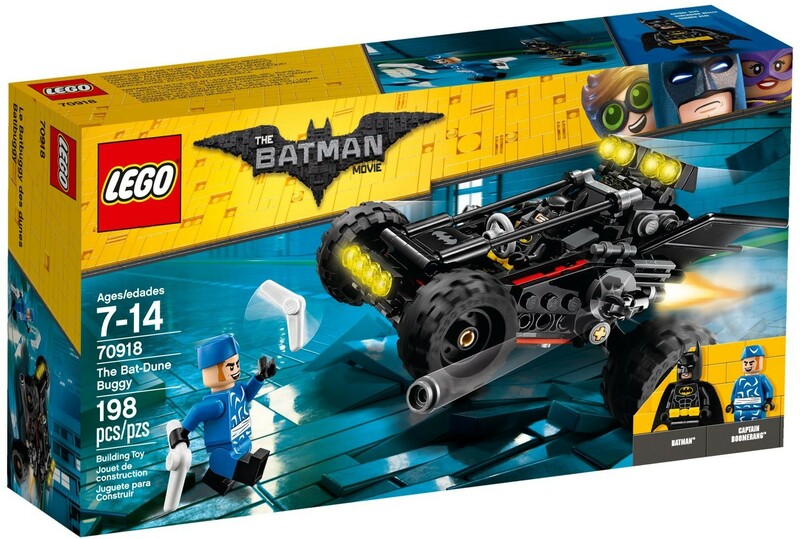 Weapons include Batman’s 2 Batarangs and Captain Boomerang's 2 boomerangs.